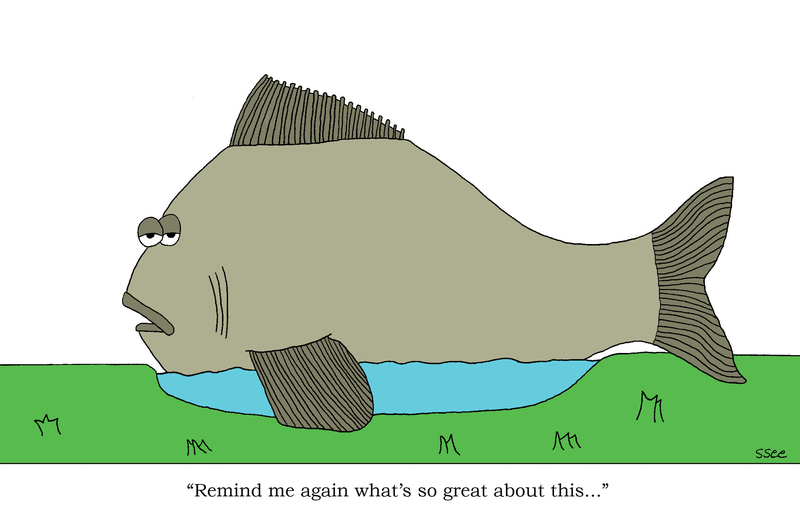 Is it better to be big fish in a small pond or small fish in a big pond…? In today’s industry, do you need to leave the small towns and cities and head for the NYC’s, LA’s and Nashville’s of the world to be successful …? As much as the industry may change, the fact is people are still going to need Music. A great live performance is often what makes the difference between making a living from music or paying to have an expensive hobby. With a great live show, you’ll sell album’s, merch, win over fans, and create an experience that the fan will re-live every time they play the music. The question is… can you be successful by staying in your own territory, become a big fish in a small pond? or do you need to make the move to an “LA” or “NYC”? The concept of 1,000 true fans suggests that a true fan will spend $100 a year on an artist. This includes albums, merch, shows, etc… 1,000 true fans can create nothing short of a good income! But do you need to leave your “pond” or can you find the fans right where you are? With the power of the internet, you can reach millions of potential fans all over the world. For bands that are touring independently the cost of touring across the country or making it to international territories can be expensive to say the least. The lure of “touring,” an adventure with band mates, can sometimes be more powerful than common sense… Are you promoting a radio single? Is there PR support? Are there going to be people to see the shows and buy merch? Are there guarantees or are the shows door deals? Is there contracts in place? Have deposits been made? You need to have these things in place for your local gigs, let alone anything further a field. We know that the Justin Beiber’s of the world are getting discovered on YouTube, and that time and time again YouTube is a major means of discovering talent. Videos make it to major label A&R meetings, performance is judged from the images before ever seeing the artist live. If they like what they see then they will make arrangements to go to the artist or bring the artist to them to get the live experience. (Drum roll, please!) So with this in mind, is it really necessary to move to “where the action is”? ………OR is it better to attract attention through your local following, to have images of performances to excited crowds and comments on your online presence, to be known for THE band to watch from your area… essentially, to be the big fish in the small pond? Just a little something to pond-er. « Business or music? Music or business?